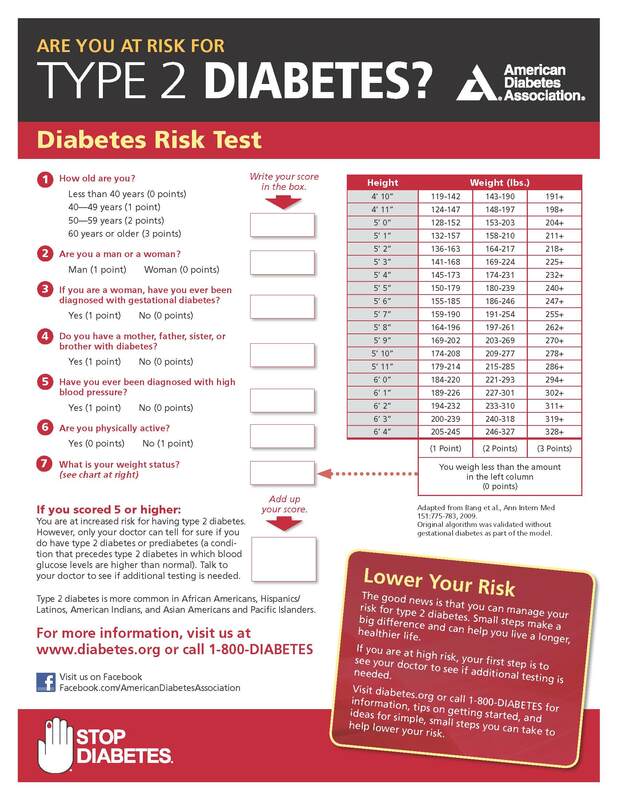 The Connecticut Department of Public Health estimates that at least 279,000 residents are living with diabetes, approximately 1/3 of those unrecognized and undiagnosed. Take the ADA risk assessment and find out. Then join us at Good Looks, Good Health: Diabetes is a Family Affair to learn how to manage your risk factors and modify your lifestyle to prevent type II diabetes.